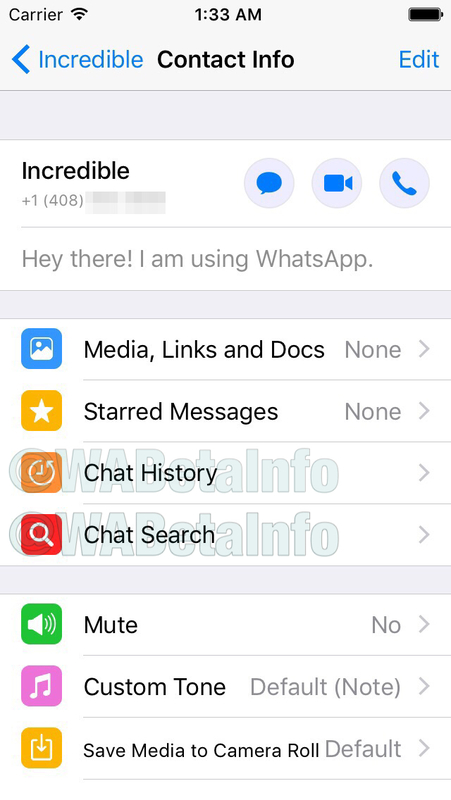 WhatsApp will finally allow to search messages in specific chats, thanks to the new improved Chat Search feature, available also for groups. When selected, the chat will be opened and you can choose what you want to search. Check the video below to discover how the feature will work! Note that the feature is disabled by default, and it will be enabled in next releases. When it will be ready, you’ll be surely notified on Twitter, our Telegram Channel, and it will be mentioned in a future changelog, available in this website.